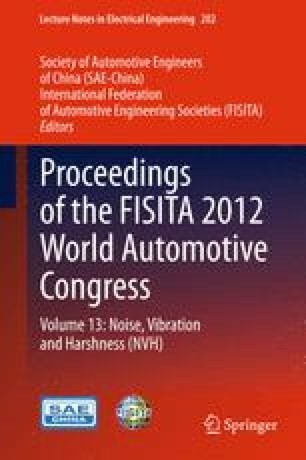 Based on the flexible MBD method, a numerical model is used to study and optimize the gear rattle phenomenon of the manual transmission driveline system. This model simulates the gear meshing influenced by driveline torsional vibration, gear clearance, oil drag damping, friction and other nonlinear factors. The mechanism of these influences on gear rattle noise is summarized through parametric study for the purpose of reducing the transmission rattle noise.